“What do you want to do in Syracuse when we’re not watching sports?” “Trader Joe’s.” “And?” “Target.” “And?” “Any place they sell craft beers.” It’s going to be a great weekend. If you have any Trader Joe’s must-buys, leave them in the comments below! 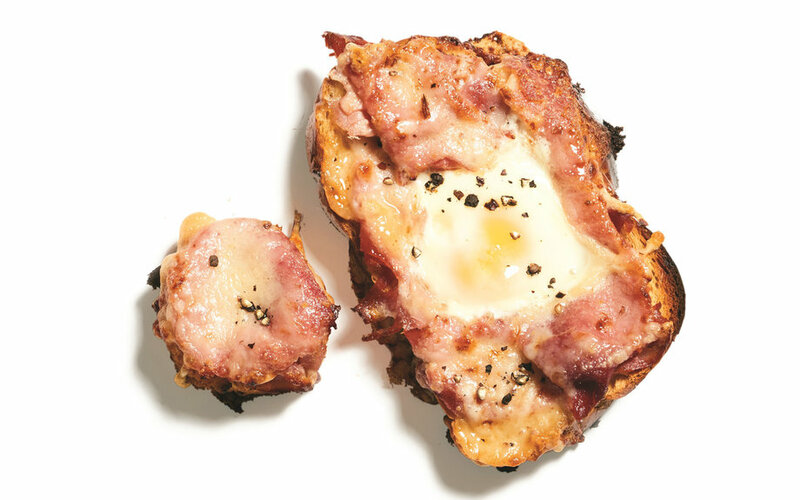 Your plans for the weekend should involve a croque-madame, a French classic that involves ham, cheese, egg, bread, and tons of butter. There’s no better Saturday morning meal! I read this article on Sunday morning, a few hours before the Oscars. I thought it was interesting to know more about how the results are administered, but I never thought this background information would become so relevant. YIKES. To echo a million thought pieces on the subject: Moonlight deserved better. The Atlantic – How Will History Remember Your Lifetime? Next ›Happy 183rd Birthday, Toronto!